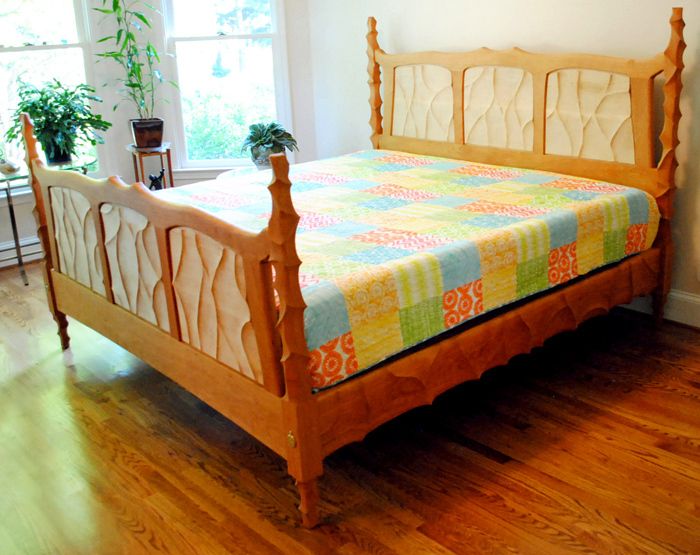 A sculpted king size bed of cherry with carved curly maple panels in the head and foot boards. 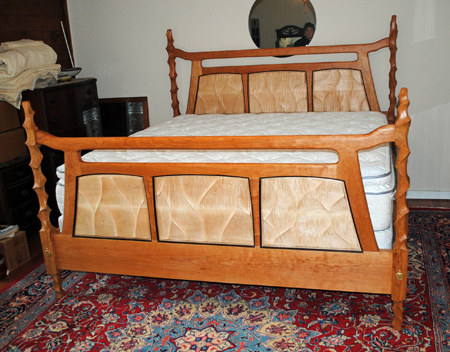 A sculpted king size bed with matching cherry and curly maple side tables and black granite inlaid into the top. 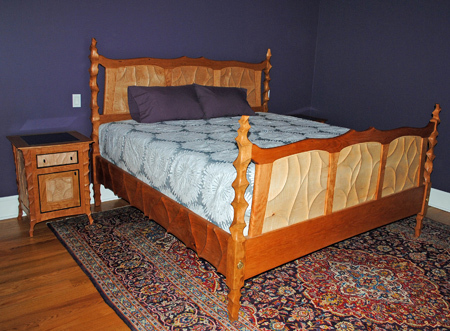 A king size bed of cherry and curly maple and dark wenge trim outlining the carved maple panels.